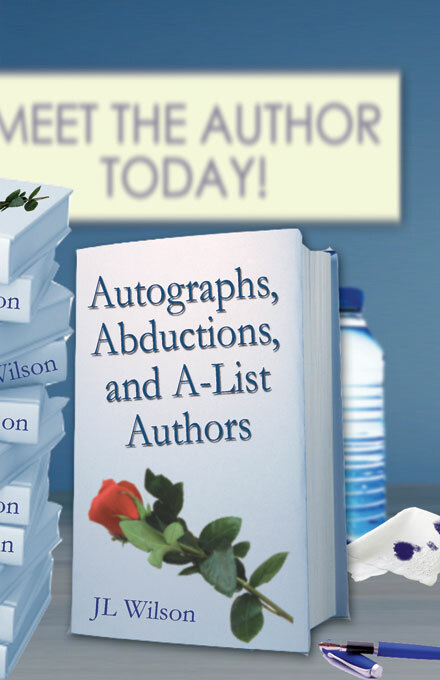 This book kicked off the Fatal Writers' Conference series -- I confess, I was at an RWA National Conference (Romance Writers of America), and I was at their ginormous book-signing. People were standing in line (a very long line) for a Big Name Author, waiting to get their books autographed. I walked around and thought, "I wonder if I could kill off an author here and nobody would figure out how?" And lo, a book was born. Oh, I had fun with this hero and this heroine. I could hear their voices in my head. I could imagine their actions. I loved the secondary characters (on all sides) and loved how they all got into the act, trying to make sure this hero and heroine stayed together. And I especially loved the book she wrote (the heroine is an author and I lived out my daydreams in her). I could imagine the book she wrote at the end and how hard it would be to write. I'm an author of mystery, romantic suspense, paranormal romances, & time travel books. This is a portal to my many worlds. Consider this my Slog: A web site/blog in Cloud Computing Land where I can keep information posted and current. Click any links in the sidebar to go to my other sites: mystery, time travel, or paranormal. Or click the tabs above to see information about me, easy shopping for my books, and information about publishing or my presentations about poison plants (combining my garden and my writing life). I'm always happy to share. If you go to the SHOPPING Page (see that tab, over there ::pointing to the right and up::) you'll find links to all my books. A new page will open and it'll show you the book blurb, and some buying links for each book. I have almost 30 books out, so that seemed simplest for me (and for you, I hope). Or find me on Facebook -- I'm often there! I don't gather emails or track who shows up to look at this site. I'm not sure what Blogger does, because that's a Google product. I do include links to other sites, like Amazon and others. Their privacy policies apply when you follow that link. 2019, J L Wilson. Simple theme. Powered by Blogger.